This non-surgical facial rejuvenation procedure can give you satisfactory results by filling up the lines like the laugh lines and smile lines. Dermal fillers are made of hyaluronic acids and help fill in these lines and creases, thus temporarily restoring a smoother, more youthful-looking appearance. When injected beneath the skin, these dermal fillers will plump up creased and sunken areas of the face giving you a smoother skin texture and a youthful appearance. 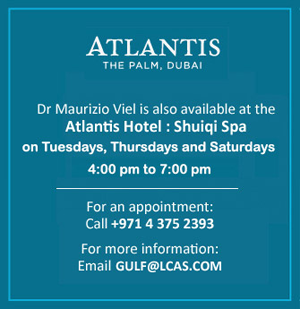 I’m sure you have heard about the various anti-aging treatments available in Dubai. Whether they are surgical or non-surgical there are always so many options in the market. 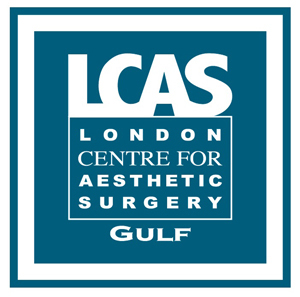 In London Centre for Aesthetic Surgery Gulf, we aim to ensure that you will have a natural look and that you will be completely satisfied with the outcome of the dermal filler treatment. As most treatments, dermal fillers are individualized according to your needs. Drs. Roberto and Maurizio Viel will recommend which type of dermal filler is best for you. To know more about dermal fillers in Dubai, click here. Dermal fillers injections are available in Dubai at London Centre for Aesthetic Surgery Gulf. Our clinic is located in Dubai HealthCare City, District 1, Building 64 (Al Razi Medical Complex), Block E, 4th Floor, Suite 4017. The treatments are performed by two of the best plastic surgeons in Dubai, Drs. Roberto and Maurizio Viel. The Italian twin plastic surgeons are fully qualified physicians with international certification in cosmetic surgery and fellowships with a number of well-established associations throughout Europe and America. Drs. Roberto and Maurizio Viel have been practicing cosmetic surgery for over 25 years and are recognized world leaders in their field and are known experts in dermal filler and botox injections in Dubai and in London.